May 2016 MSL Toolbox Talks covers CDM changes, RAMS & waste minimisation. As part of our ongoing programme to ensure that all MSL engineers are fully up to date with H&S legislation and best work practice. Home » News » May 2016 MSL Toolbox Talks covers CDM changes, RAMS & waste minimisation. As part of our ongoing programme to ensure that all MSL engineers are fully up to date with H&S legislation and best work practice. 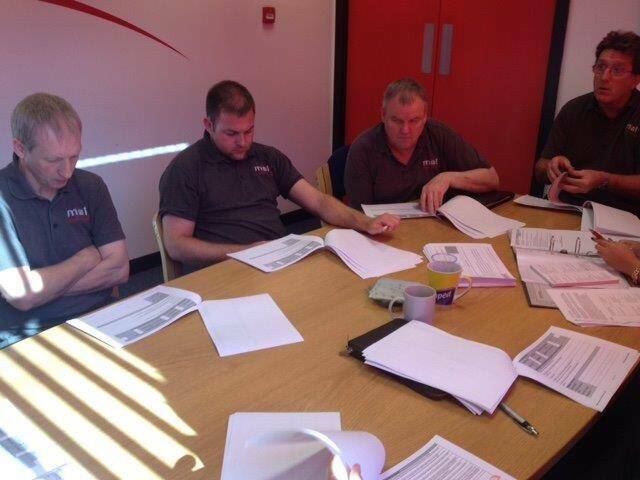 We hold monthly Toolbox Talks where health and safety information is discussed, and van & toolbox checks are carried out – this way ensuring, for example, ladders remain safe, electrical devices are tested regularly. Completion by the engineer of the Risk Aseessment on the job sheet, this remains unchanged, if there is a significant risk identified prior to works being carried out, then the engineer will need to complete the new Project Construction Phase Plan booklet. Additional sections (in relation to the original MSL RAMS booklet) include :-• The front page where this will identify who, in accordance to the new CDM regs is the Designer, Principle Designer and Principal Contractor. What are the potential hazards associated with the task, or what can potentially hurt me? How may the risk from these hazards be controlled? Have you been given any rules or instructions which relate to the job? What is the safe way of doing the job? Are you entirely happy that you can do the job in a safe manner? If you have any doubts or concerns after asking the questions, stop and consult your manager or supervisor. Undertake an employee risk assessment for all activities. Where significant hazards are present, your manager or supervisor will help prepare a safe system of work for the job. Remember to consider PETE and ERIC when undertaking risk assessments. Materials and the people handling them accounts for approximately half of the cost of a traditionally constructed building or structure. Waste of materials adds to the cost of any construction project and uses up the earth’s ever decreasing resources e.g. timber. Handle masonry units carefully to avoid breakages. Follow any instructions given by the manufacturers on stacking. Keep plasterboard, plaster, cement and any other materials affected by damp conditions in dry stores. Use materials in order of delivery, i.e. the oldest first. Ensure unused materials are taken elsewhere on the completion of any site so that they are not wasted. Reseal tins, containers and barrels after use. Use the right materials for the right job. Always separate wastes into the appropriate disposal facility so that recyclable waste ends up being recycled and not sent to landfill. 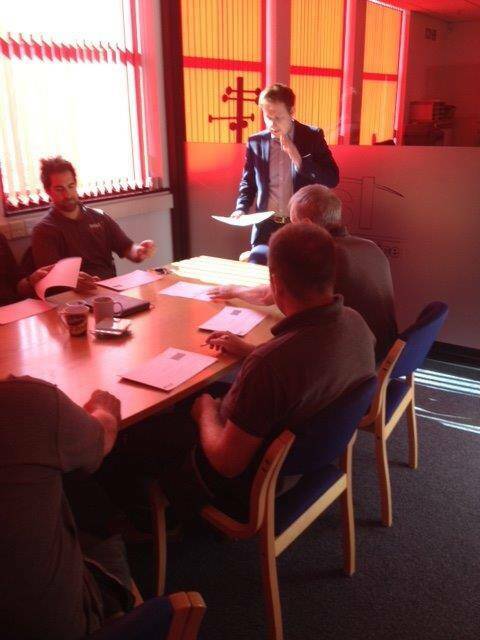 MSL Engineers in the training room for Toolbox Talks.